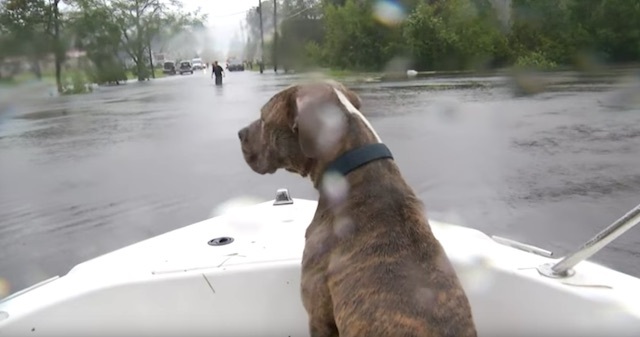 As Hurricane Florence hits North Carolina with historic flooding, many brave citizens are searching the flooded neighborhoods in Jacksonville looking for people trapped by the high waters and for pets left behind. 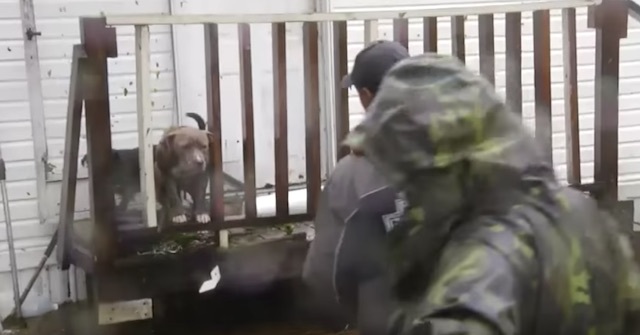 In the video (see below), the brave men find two dogs huddled on a porch. 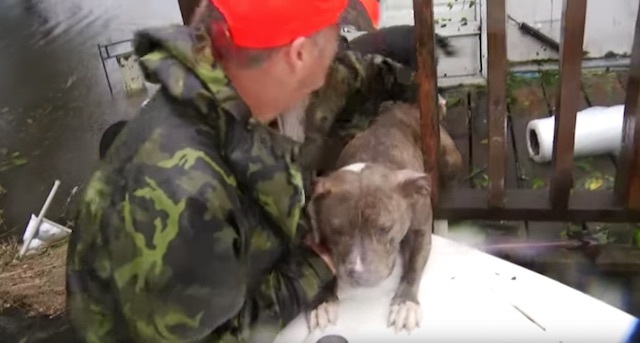 The rescuers make sure there are no people in the home and then load the two dogs into the boat. The soaked dogs are relieved to be onboard and their tails wag as they survey the floods from the safety of the boat. The rescuers talk and discuss what they should do with the dogs when they get on dry land. Given the number of animal shelters, rescues and people volunteering to foster animals in the crisis, we believe these two dogs will be safe, especially now that their lives are no longer in danger. The rescuers are not only saving dogs. When they go back out they see a cat springing into the water in fear and go to save him, rescuing another at the same time. 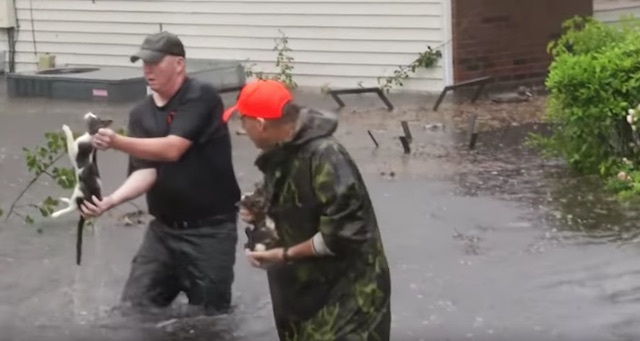 Watch the pets being rescued in the video below.